Chancellor Alistair Darling has vowed to press ahead with plans to charge non-domicile taxpayers despite pressure from industry leaders to change course. He confirmed that non-doms who have lived in the UK for seven of the past 10 years will have to pay £30,000 a year to keep their privileged status. 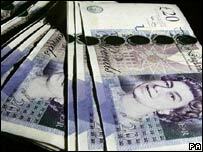 Non-doms do not pay tax on foreign earnings, only on money made in the UK. 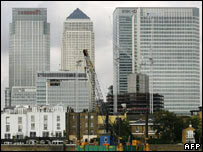 Some critics have claimed that non-doms would leave the UK because of the policy, hurting economic growth. Mr Darling drew laughter from the opposition benches when he announced that there would be no further charge on non-doms during this parliament and the next. Non-doms are people who have "non-domiciled" status. They are often from abroad but live and work in the UK. They pay tax on UK earnings but not on any money generated abroad, provided they do not bring it to the UK to spend. The government says that the latest figures show some 111,000 people asked for non-dom status two years ago. HM Revenue and Customs says that in September, some 23,000 people had indicated non-dom status on their tax returns for more than seven of the last ten years. It is this group of people that the government want to charge £30,000 a year, or force them to pay UK tax on their worldwide income. Although the policy will continue, some changes with a significant effect for some non-doms can be found in the detailed Budget papers. The first is that the charge will be regarded as a tax, not a free-standing levy, leading to tax relief for some. A non-dom from the US could save around a third of the charge as a result. Secondly, non-doms on much lower incomes, such as those who came to the UK to find work, will be charged at a different level. Under the original proposals, people with overseas earnings of less than £1,000 were exempt. That threshold has increased to £2,000. The policy caused a lot of debate with some critics suggesting it would make the UK less attractive to wealthy foreigners wishing to invest in the UK. Chas Roy-Chowdhury, head of taxation at the Association of Chartered Certified Accountants, said: "It does not give the best impression of the UK for non-doms." But the TUC has backed the government in part, arguing that non-doms do not pay their fair share of tax, but was critical of the pledge not to add to the charge later. General Secretary Brendan Barber said: "While the chancellor has stuck to his non-dom guns, he was wrong to rule out further changes when the threatened talent exodus fails to materialise. "The richest non-doms will hardly be troubled by this £30,000 poll tax." Liberal Democrat leader Nick Clegg described the policy as "laughable". "Their new poll tax which the Conservatives not surprisingly support, will be wildly punitive for ordinary foreign workers but will be no more than a flea bite for foreign billionaires who have come to regard the UK as nothing more than a tax haven," he told the Commons.